The South African Navy's Maritime Reaction Squadron (MRS) is currently testing its new Forward Deployable Base (FDB). The FDB is the last component of the R89 million Project Xena that sought to create a fully integrated, balanced and deployable Maritime Reaction Squadron system over three years from 2005. The FDB is this week being put through a tough Operational Test and Evaluation (OT&E) at the SA Navy’s Training Base at SAS Saldanha. The Operational Boat Squadron (OBS), initially using Namacurra harbour patrol vessels, was created in 2006, while the Naval Rapid Deployment Force (NRDF) was formed in 2006. The OBS and NRDF integrated in 2007, with the Operational Diving Team (ODT) added in 2008. The Chief of the South African Navy, Vice Admiral Johannes Mudimu, formally launched the MRS last year in December 2008. Elements of the MRS have already been deployed to Burundi and other African nations as part of the national defence force's peacekeeping deployments. The MRS is crafted to provide the Chief of Joint Operations a maritime reaction capability at sea, ashore and on lakes, rivers, or other waterways. - An Operational Maintenance Division (OMD). The OBD and RFD is responsible for such as activities as force protection of deployed SAN combatants, amphibious and beachhead operations, interdiction operations in coastal areas, boarding, search and seizure, naval gunfire support spotters, riverine and inshore patrols. All members of the RFD, which is similar in size to an infantry company of 120 soldiers, undergo specialised training. A Reserve Division of 120 sailors also mirror the RFD. The ODD, by contrast, provides specialist operational and general diving services. The OMD provides the FDB and takes care of camp management, administration and maintenance and repair of small craft, vehicles and equipment. The FDB consists of a Base Camp Segment (BCS) can support up to 150 sailors (although current accommodation is for 100) together with their associated vehicles and patrol boats, a floating jetty and a command-and-control complex. 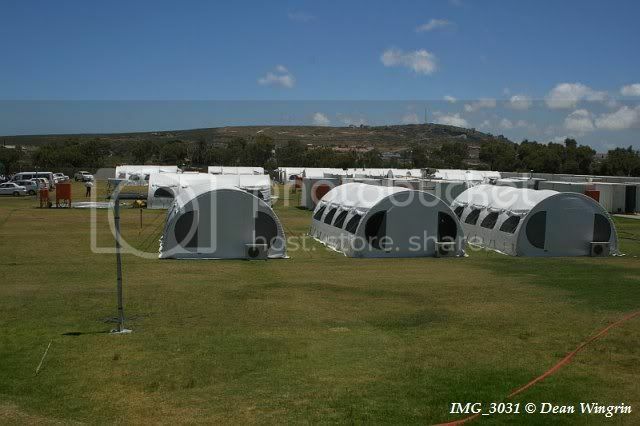 The camp complex provides the sailors accommodation, recreation, catering and sanitation facilities to personnel as well as logistic support facilities in the form of storage and workshops and include the utility services of power and water supply and a perimeter barrier for physical protection. It is modular in concept and the size will depend on the actual deployment requirements. The entire system is contained in 33 6m shipping containers and is ideally sited on an open area 150m x 150m. 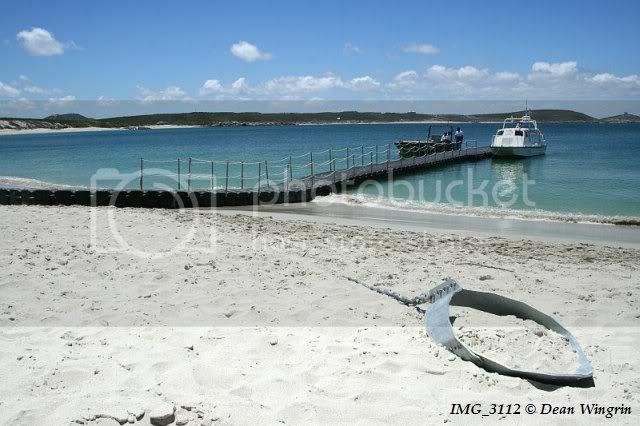 - Floating jetty/riverine patrol boats and landing craft. The time taken to erect the full base depends on the surface and weather conditions, but two weeks is sufficient under optimal conditions. The Maritime Reaction Squadron has already completed its theoretical training and the Harbour Acceptance Trial (HATS) of the BCS, which was tested during the Southern African Development Community (SADC) Field Exercise Golfinho in Walvis Bay, Namibia in September. The full BCS was, however, not deployed; hence the current exercise. In practical terms, the MRS is similar to the Marine Corps that existed from 1979 to 1990, but the Navy has been very careful not to call them that. “We have avoided calling them the Marines because of the politicisation of the Marines”, said Mudimu. The MRS can customise its capabilities in order to execute its core tasks on rivers, inland lakes and coastal waters on the African continent and littoral waters. “We have prepared our forces, so the Chief of Joint Operations can select any of these elements and confidently deploy them, “ Mudimu said. 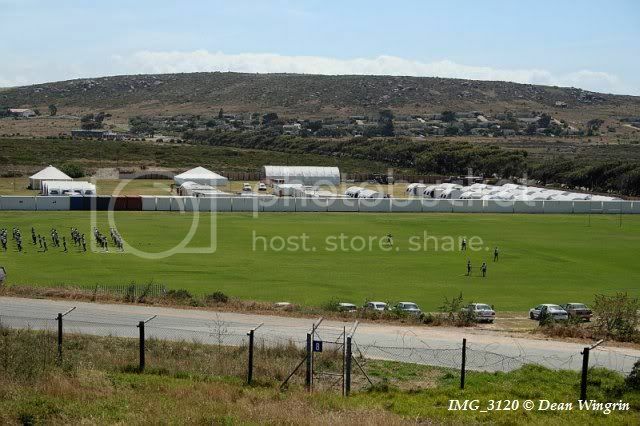 The Navy also seems keen to have the camp system proven in time for the 2010 Soccer World Cup. The only problem appears to be that of transporting the camp. According to Teuteberg there are not yet enough transport vehicles, but the Navy hopes to procure more. Another problem is that the system was optimised for the recently cancelled Airbus Military A400M strategic airlifter. It is impractical to use the limited number of SAAF C-130 Hercules for the purpose as this would require too many flight hours. The unit looks great. At what time does the SAN expect them to be at full strength and fully deployable? Apart from the Forward Deployable Base which is presently undergoing OT&E, the MRS is pretty much fully deployable. However, the rationale behind the MRS is that it is modular and only those components that are required for a specific deployment are used. And strength? I had heard the unit was to eventually be battalion sized. I found a link off of MilitaryPhotos.net showing the old SADF Marines at Exercise Magersfontein in '88, the venerable Charl Pauw reporting I wonder if our Eugene was in the area at the time? I once knew an old seadog back in Johannesburg who had the old SAN flag in his bar... would have given my eye-teeth for it but obviously, he wasn't going to part with it. I wonder if our Eugene was in the area at the time? Hardly. He'd left the force at the end of the seventies. Even more doddering than you thought? Hehehe, ek sê maar niks. Rumour has it that parts of the FDB has been set up in Pemba, Moz. They should call them Marines, that is exactly what they are. The concept of Marines has a long and honourable history going back several hundred years. Political correctness is a load rubbish. The SA Navy and the Marines has a rather tortured history. Twice a Marine corps was started and twice it petered out - mainly through financial and functional considerations. At once stage the SA Navy was actually commanded by a marine! The political side, I think, is an internal political one in that the seagoing navy has always had a rather condescending attitude towards the marine corps. I recall the beginnings of the second revival was generally met within the fleet with an attitude of "they are merely some sort of dockyard cops". At that stage it was envisaged that their role would be harbour protection and manning of the Namacurras. The previous marine corp had been brought about to man the coastal guns. Within the SA Navy their actual role was always a bit suspect, at least to real navy types.